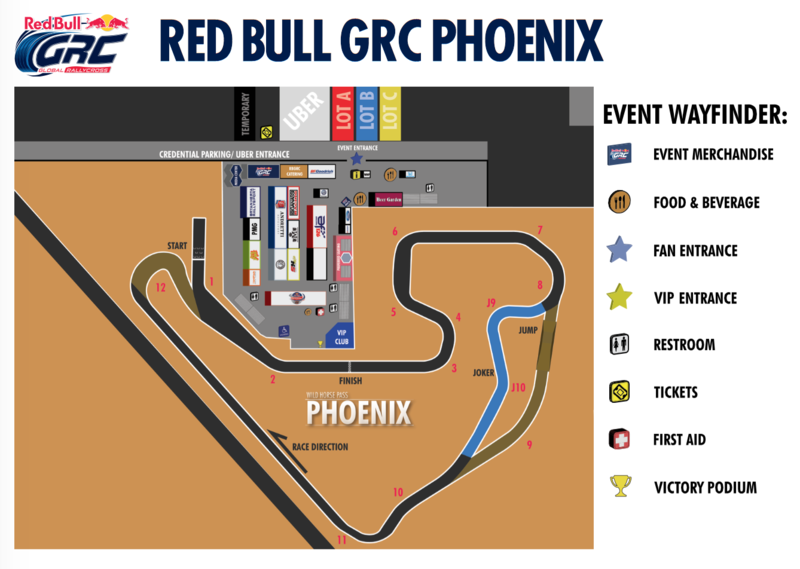 The 2016 Red Bull Global Rallycross season kicks off with a doubleheader at the Wild Horse Pass Motorsports Park in Phoenix. Here are the changes to the grid in a nutshell. Most of the regulars are back likeArpin (Chip Ganassi Racing), Patrik Sandell (Bryan Herta Rallysport), Tanner Foust (Volkswagen Andretti Rallycross), and Speed (VARX). Olsbergs MSE have partnered with Honda for the 2016 season, bringing the Civic to Red Bull GRC competition with Wiman and Eriksson at the wheel. Brian Deegan returns for the entire season Chip Ganassi Racing with Steve Arpin as his teammate. Jeff Ward, Deegan’s fill-in for three rounds last year, is moving to full-time status with SH Rallycross. Austin Dyne is returning with a car that saw him take two heat victories and a pole last year. IndyCar veteran Sebastian Saavedra, who will make his debut in the series, will partner Dyne on the team in Phoenix. Rhys Millen will continue his streak of starting at least one Supercar event every year by starting this weekend’s doubleheader. 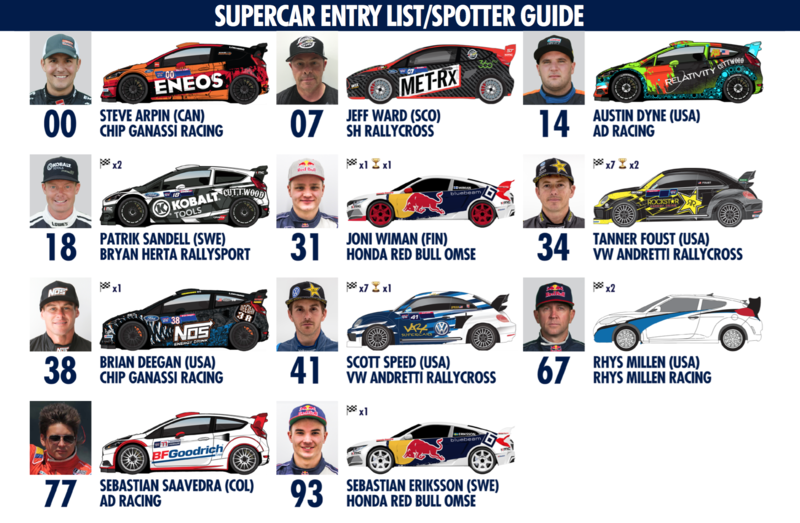 Missing from the Grid is Ken Block, who’s racing this season in Europe with The FIA World Rallycross Championship, and the entire Subaru squad. Bucky Lasek is awesome and so much fun to watch race. Hopefully they’ll be back soon. 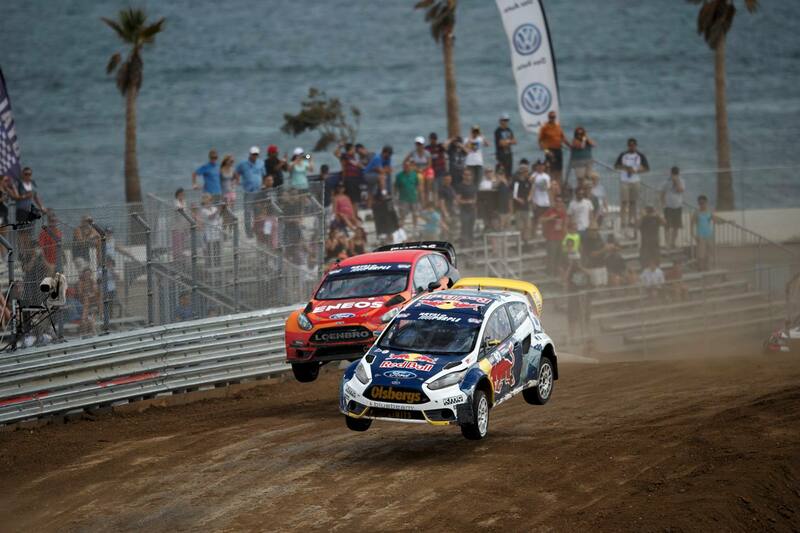 NBC Sports will broadcast of this weekend’s Global Rallycross races from Phoenix on Sunday May 22, from 2-4pm ET on NBCSN. You can also watch via NBC Sports Live Extra online at NBCSports.com/LiveExtra, or through the Live Extra app on mobile, tablet and through the Apple TV or Roku connected TV devices. At .929 miles, the Wild Horse Pass course features 12 turns, multiple dirt sections, and a Joker Lap that allows drivers to bypass the jump once per race session. I have no idea where to put these quotes that came in the press release but they’re kind of interesting. 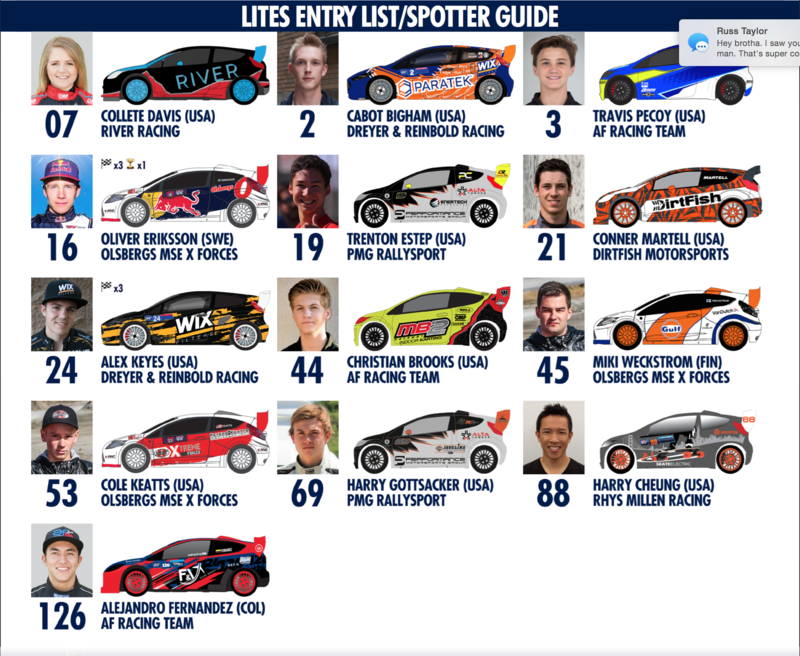 The largest full-time field in GRC Lites history will take to the track at Wild Horse Pass Motorsports Park in Phoenix for the start of the fourth-ever Lites season. Oliver Eriksson will kick off his attempt to become the first back-to-back Lites champion as no fewer than seven drivers make their debuts in the series. 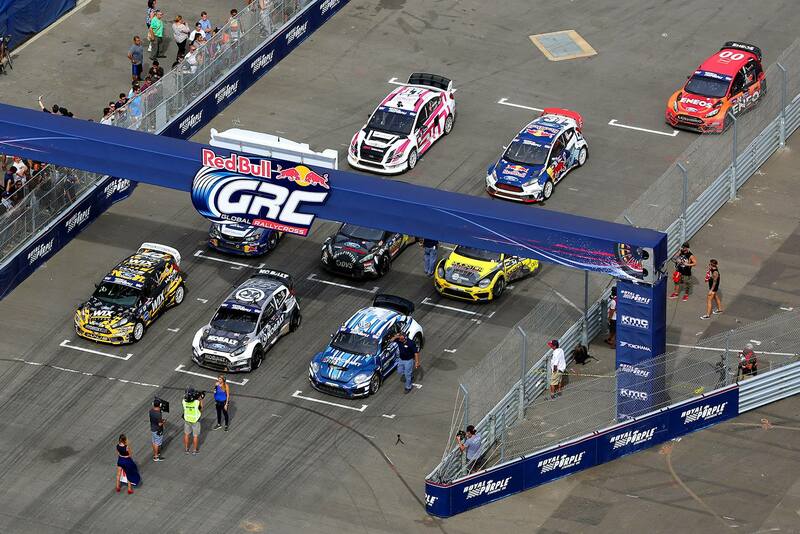 This weekend’s top rookie will be hard to predict, as seven of the 13 drivers competing this weekend have never raced in GRC Lites. Out of the newcomers in the field, only Miki Weckstrom enters with race experience in the car, having competed in RallyX on Ice this winter. Here are the grid details for the lites race. While Oliver Eriksson returns to Olsbergs MSE X Forces to defend his championship, he will be partnered by a pair of rookie drivers, Miki Weckstrom and Cole Keatts. AF Racing adds short course front-runner Travis PeCoy and karting expert Christian Brooks to its stable, joining third-year returning veteran Alejandro Fernandez. Collete Davis takes her River Racing program to Rhys Millen Racing, where she will partner the returning Harry Cheung for the 2016 season. At Dreyer & Reinbold Racing, Cabot Bigham becomes the team’s lone full-time championship threat. 2015 race winners Alex Keyes and Tanner Whitten will split the team’s second car, with Keyes behind the wheel in Phoenix this weekend. Conner Martell moves to DirtFish Motorsports to replace the departing Whitten on a full-time basis. The new PMG Rallysport team enters the 2016 season with drivers Parker Chase and Harry Gottsacker behind the wheel. With Chase unavailable to the team this weekend, Trenton Estep will substitute in the season-opening doubleheader. CORE autosport will join the Lites division as early as Daytona in June, campaigning two cars for to-be-announced drivers. Once again, I have no idea what to do with these quotes but they’re interesting.